I have spoken about this topic several times before whether that's on Instagram, my blog or in person. 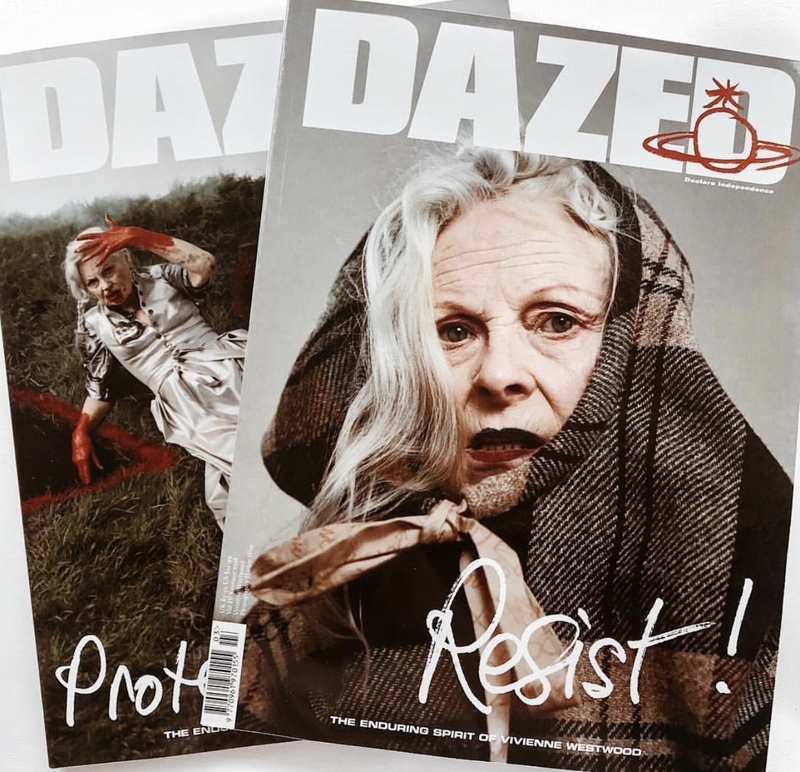 I have been really inspired by the designer Vivienne Westwood to think more conciously about this topic. I posted a quote by her on my Instagram several months ago that reads "Buy less, choose well, make it last". This has really stuck with me recently especially in the past few months when I have been sale shopping. I love getting my hands on a good bargain in Primark, Topshop and online sites such as Pretty Little Thing etc. However, I really can't help but feel guilty when I shop at these places. Usually I know when I am buying from these cheaper shops that it is usually for one event and I don't consciously think about how much I will wear it after the event. Obviously, this isn't every time I shop and I have purchased slightly cheaper items from these shops that have lasted me over the years and I still love wearing. Although, since working in Harvey Nichols where the price point of garments is a lot higher I have realised how sh*tty these online places can potentially be (please note I don't mean all, I still love shopping at some of these places!). But the garments can be made really cheaply usually intended for only a couple of wears. I realised that if I stopped buying multiple items at this quality I could invest my money in higher price point items that I know have a more sustainable and environmentally friendly background and are going to last me a lifetime not just a few wears. We are not all perfect and I am not saying from now on I will only have an expensive wardrobe where I will have consciously thought about every single item. But, what I am saying is I do want to invest more time and more money into items. 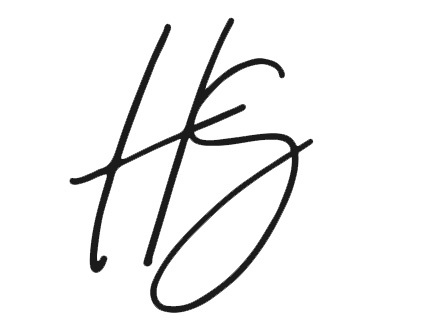 I want to save up my money and purchase better quality and longer lasting items. 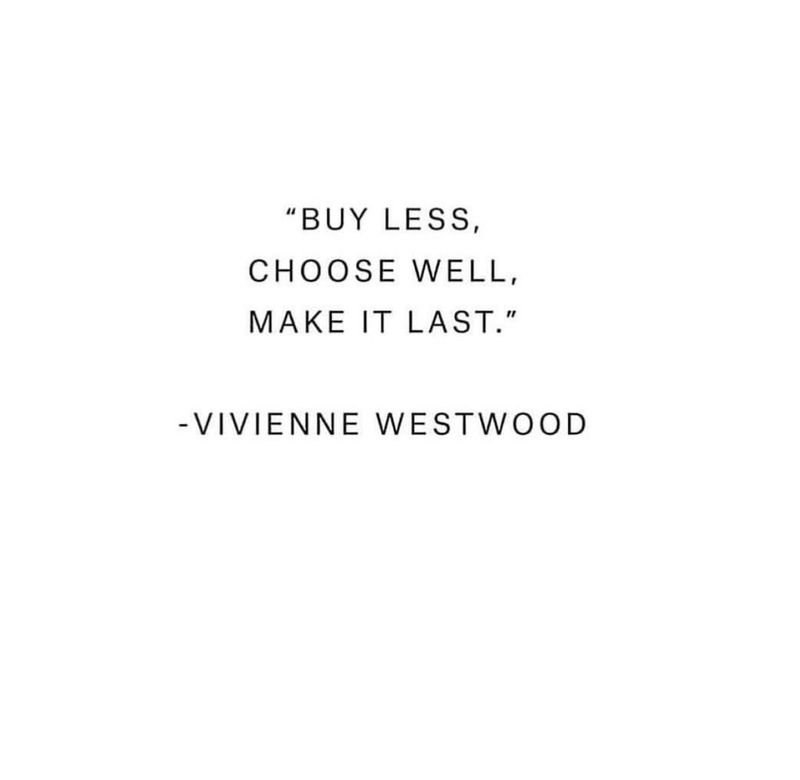 This doesn't mean always breaking the bank, as I recently realised when shopping in the Vivienne Westwood sale you can get some amazing items at discounted prices. Yes, new season items are pricey and you're paying for that designer but I managed to pick up some real gems in the sale that I will keep for a lifetime unlike a Topshop bag that I can't rely on carrying all my books into uni with (uni students will relate to that one). I also feel like trends have a really big impact on this. I love styling new items according to different trends. However, I certainly want to focus on buying items that are timeless and can be styled according to any future styles I like. I am no expert into knowing the knowledge about all the brands I shop at but I do feel responsible especially as a fashion student to start shopping with this in the back of my mind. Maybe I will ask myself questions like, can i see this been worn every season every year, and will the quality live up to this? instead of this will look nice for Saturday but I'm not sure when i'll ever wear it again. I do feel like this topic fits closely with the issue of fast fashion, which is a topic I would love to dress and talk about on my blog, let me know your thoughts.